PV Water offers a variety of rebates to residential customers that install the following types of rain catchment systems: rain barrels with a storage capacity of 50 up to 100 gallons and larger cisterns or tanks with a storage capacity of 100 to 3,000 gallons. Rainwater may only be used for irrigation and other non-potable uses. Click here to see the rebate form (PDF). PV Water offers a $100 rebate for laundry to landscape graywater installations. Click here see the rebate form (PDF). On April 1, 2015, Governor Brown issued Executive Order (B-29-15) in response to the criticcal drought conditions facing California. On April 7, the Governor's office released a Fact Sheet and a draft Regulatory Framework regarding the Executive Order. Rural Residential Water Conservation Toolkit Available! Click here to download your copy and find ways to save more water today!!! Because over 75% of the water use in the Pajaro Valley groundwater basin is agricultural, the largest potential water savings are from reduced agricultural use. However the Agency also actively cooperates with local urban water purveyors on a number of urban water conservation programs and also sponsors the local watersavingtips.org web-site. The Agency now offers a $100 rebate for laundry to landscape graywater installations. Click here for more information. PV Water offers free low-flow fixtures including showerheads, hose nozzles, 5 minute shower timers, moisture sensors, kitchen faucet aerators and bathroom faucet aerators. These devices are free to homeowners and renters that live within the PV Water boundaries outside of the City of Watsonville and Soquel Creek Water District areas (they have their own conservation devices). To receive the free devices come by the PV Water office, and start saving water, energy and money today! The Soquel Creek Water District has a wide range of programs including free water audits, free water conservation devices, rebates for toilets and washers, plus many other great programs and information. Free irrigation controllers are also available to individual users. The District also has it's own water efficiency requirements for new construction in addition to those required by the County of Santa Cruz. Contact the District at (831) 475-8500. The City of Watsonville offers rebates for toilets and washers, as well as free water conservation devices. Contact the City Public Works Department at (831) 768-3100. In the unincorporated areas of Santa Cruz County, the County's Department of Environmental Health enforces a water conservation ordinance that requires that all residences be retrofitted with low-flow fixtures prior to change of ownership. Contact the Department at (831) 454-2022. This is a local website hosted by the PV Water and also supported by eight local water public and private water purveyors in the Santa Cruz county area. It is a good place to find links to all the local conservation programs, rebates and regulations for your community. 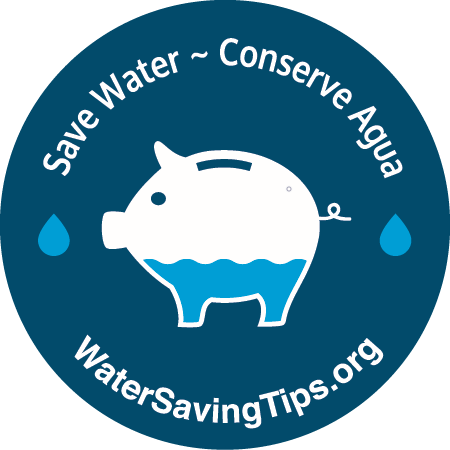 The Soquel Creek Water District conservation page has a number of great water-saving tips, practices and links in addition to their own specific programs and rebates. WAC members develop, fund and present programs for the community, students and water-industry members throughout Monterey County. Their efforts include seminars, tours, Q&A workbooks, and links to local water agencies and water purveyors. Designed for both water purveyors and consumers. Described as a premier source of quality California natives and non-invasive, water-wise, non-native ornamental grasses. Two nursery locations open to the public; Soquel and off Struve Road near Moss Landing. Located in Carmel Valley, this innovative firm specializes in native plant restoration, specialty landscape design and now produces a number of local, drought-tolerant grasses available to the public. Tours are available. Here you can find information about the Integrated Watershed Restoration Program for Santa Cruz County. It is meant to be a resource for individuals and organizations doing watershed restoration work within the county. Contain a number of useful links and information on local and state programs and services. Ecology Action and local partners certify individuals having successfully completed the green gardener training. The program provides practical and effective guidance on appropriate chemical use, solid waste reduction, composting, sustainable design, and other tools needed for “greening” a gardening or landscaping business. Provided in English and Spanish. To sign up for 72 hour course to be certified as a master gardener based on collaborative efforts between the US. Department of Agriculture, the county governments of Monterey and Santa Cruz, and the University to better serve the home gardening community. The OWUE provides support for the stewardship of California's water resources and energy efficient use of water. This office is responsible for water use efficiency planning and coordination. Our services include technical and financial assistance, information collection and dissemination, resources evaluation, and implementation. The goal of Council's 354 members is to integrate fourteen urban water conservation Best Management Practices into the planning and management of California's water resources. The mission of the Water Education - Water Awareness Committee is to promote the efficient use of water and to increase public awareness of the importance of water in Southern California. This kid and teacher friendly website, is interactive and contains exercises and information so that the conservation message can be incorporated into the regular curriculum. This web-site contains links to several studies and research papers regarding water conservation as part of an overall strategy to supply water to major urban areas of California. Water Saving made easy. Water Conservation tips, publications, product testing and national water information. This 2004 study commissioned by the California Urban Water Agencies (CUWA) identifies the challenges of implementing urban water conservation programs, and develops findings and general recommendations regarding implementation challenges. The CUWA is comprised of the largest water purveyors and agencies throughout California. (364 KB PDF download).